What is Cephalic Hypersensitivity Syndrome? 3. 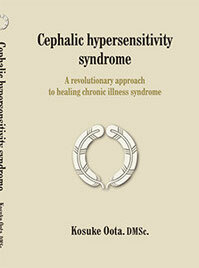 Why does cephalic hypersensitivity syndrome develop? What sort of person is likely to develop cephalic hypersensitivity syndrome? About the author: who is Kosuke Oota? Kosuke Oota graduated from Okayama University Medical School in 1964 and completed his doctorate at Okayama University Graduate School in 1969. After working as Chief of Neurosurgery at National Fukuyama Hospital (now called National Hospital Organization Fukuyama Medical Center), in 1976, he established Oota Hospital, now known as the Brain Attack Center Oota Memorial Hospital. In 1986, he developed a wide-area emergency medical network using Oota CT image data transmission devices in coordination with medical facilities in isolated islands and remote mountainous areas without on-site neurosurgeons. He is a recipient of the Japan Medical Association’s highest merit award as well as a Congress of Cell Transplant Society prize for his active work in kidney and cornea donation from deceased donors. In his roles as clinical professor at Okayama University Medical School and primary researcher at the Shibuya Longevity Health Foundation, his research interests cover cerebrovascular disease, sleep disorders, and cephalic hypersensitivity syndrome. MR angiography: basics to clinical application. An easy to understand guide. vertigo outpatient clinic. 2nd edition.